For most adults, it is hard to imagine there was a time when we couldn’t read a map. For most of us, making sense of a map is as automatic as re-creating a scene in our minds from the dots on the page that make up a photograph. Of course we were not born able to make meaning from either photos or maps, but that doesn’t make it any easier to project back to the time when photos and maps were just colors and shapes on a piece of paper (or a screen—for younger adults). In fact, the ability to “read” a map, even a very simple one, is a skill that must be learned and can require considerable time and effort. 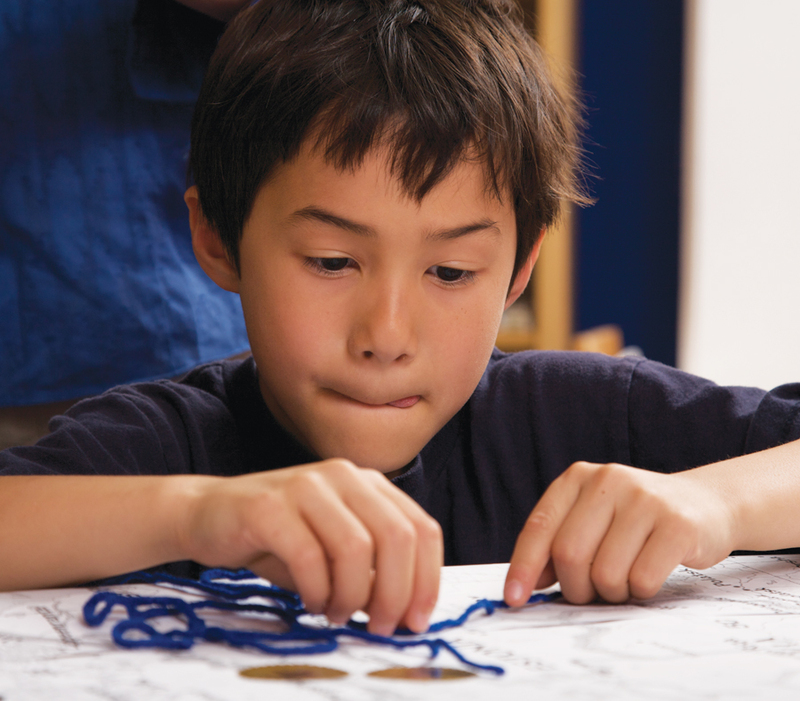 Although nearly everyone acquires the basic map reading skills by the time they have completed the primary grades, that does not diminish the magnitude of these accomplishments for young learners. Unfortunately, map skills are not taught as consistently across the country as they should be. Nor do many primary grade teachers have the instructional materials or know how to teach map skills. For that reason, National Geographic’s Network of Alliances for Geographic Education recently launched an initiative to improve the teaching of map skills in the early grades. Led by Brenda Barr and Kim Hulse at National Geographic, this initiative is designed to provide teachers with the knowledge, skills, and materials they need to teach their students. The starting point for this initiative was a review of research on children’s spatial reasoning and map interpretation skills commissioned by the National Geographic Education Foundation. This review, conducted by Drs. Audrey and Lindsey Mohan, collected information about the concepts and skills that children in different age ranges can master, common challenges to understanding, and misconceptions that children in those age ranges are likely to experience. These research findings have implications for teaching and selecting maps and other instructional materials. Training teachers could also improve geographic education. We see great potential in Esri’s GeoMentor program to teach map reading skills. We encourage GIS professionals to spend some time reviewing the opportunities to get involved in with local schools on the Esri GeoMentor program website, the materials for teaching basic map skills on the National Geographic Education website, and then reach out to educators in their communities. Get more information about the Esri GeoMentor program. Get more information about National Geographic’s Elementary Mapping initiative. Read other articles in the “GeoLearning” series.